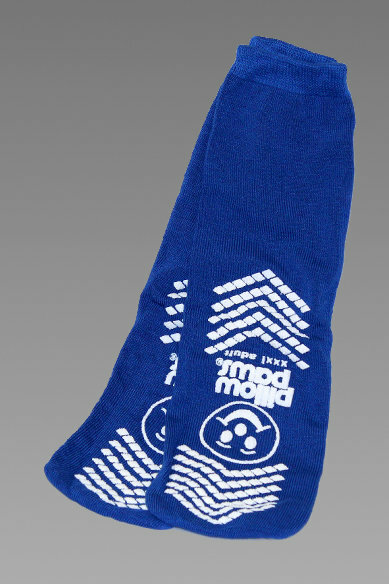 Our over sized slipper socks are made from a soft acrylic blend for ultimate comfort. Designed to accommodate foot and ankle edema. The traction sole helps prevent slipping.. Machine washable. Suitable for both men and women. Available in blue only.